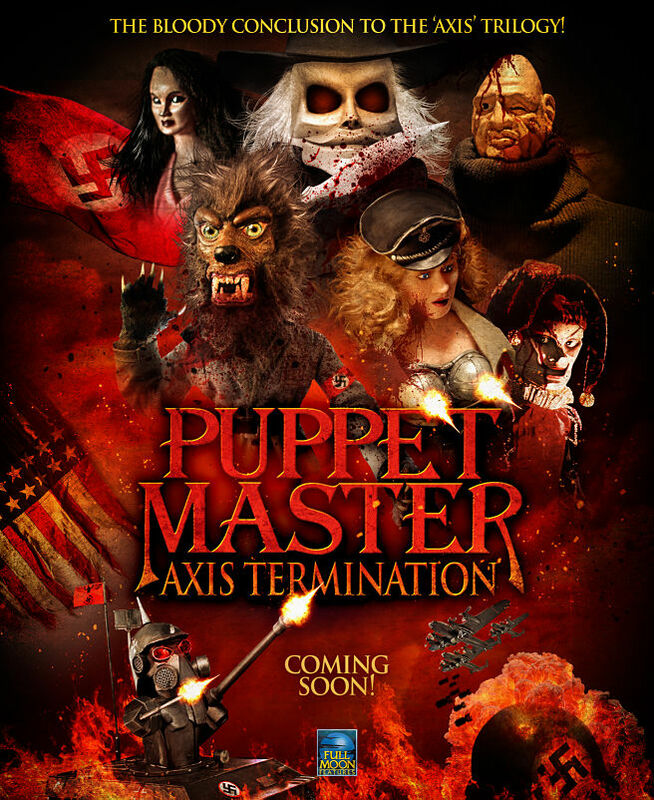 Check Out the ‘Puppet Master: Axis Termination’ Trailer Right Now! If you’re a Full Moon lover, you’re alright in our book! That said, if you’re a Full Moon lover, you’ve probably also got an unwavering passion for the long running Puppet Master franchise. So, you should be stoked to the extreme to get a look at the trailer for Puppet Master: Axis Termination! The great Charles Band, who originally brought this franchise to life, will be stepping behind the camera for Axis Termination, and that’s a good thing: there’s no one better suited to bring Band’s vision to life, and wrap up the Axis trilogy than the man himself. And he brought along a few quality players for this final Puppet Master flick! Diana Prince, Tonya Kay, Paul Logan, Jean Louise O’Sullivan, Kevin Scott Allen, and Rob Vardaro star. Dig on that trailer below! In this final chapter of the Puppet Master “Axis Saga” — which began with Puppet Master: Axis of Evil and continued with Puppet Master: Axis Rising — everyone’s favorite pint-sized puppet anti-heroes — Blade, Pinhead, Tunneler, Jester, Six Shooter, and Leech Woman — join forces with a secret team of psychics working as Allied Operatives. Teaming up with Toulon’s bloodthirsty marionettes, these unlikely allies face off against a new pack of evil Nazis and their even more malevolent Axis Puppets in a showdown that will decide the future of the free world!